Easter is this week, and we are super excited! There are some awesome STEM activities you can do this week to get ready for Easter and spring in general! Below are some of our favorite activities! Create an eruption inside a plastic Easter egg! 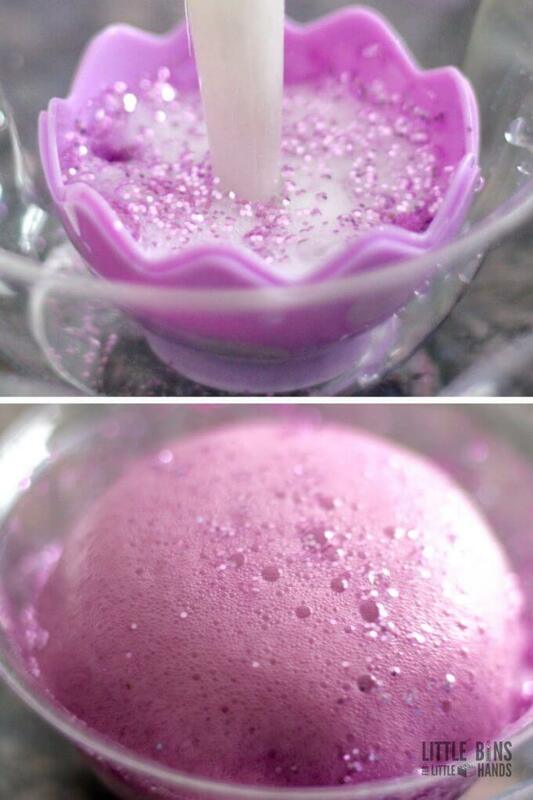 Start by adding baking soda and fun glitter or food coloring, and then add vinegar. Kids will learn all about chemical reactions by creating their own with this simple activity! This has to do with the mixing of an acid and a base. When they mix, a gas, carbon dioxide, is produced. This simple activity is easy and very exciting for kids! To add to the experiment, you can even try the same experiment with lemon juice or other citrus fruit juices in place of vinegar and note the differences! 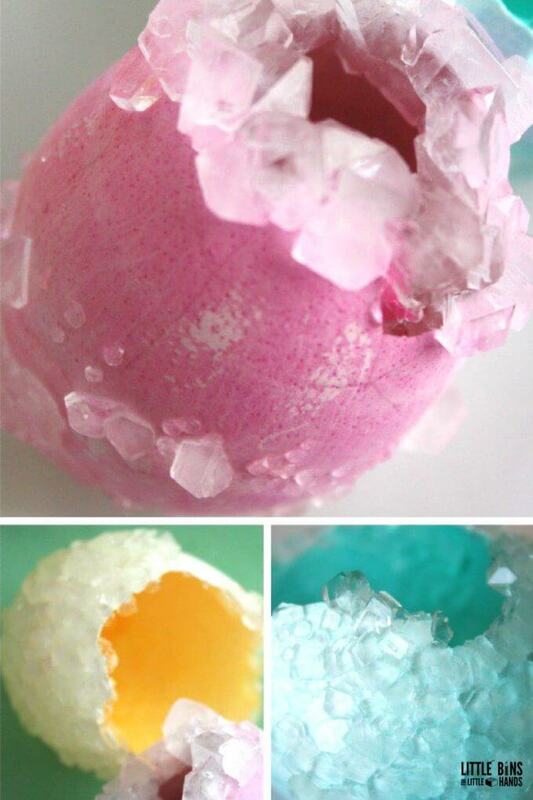 You can grow crystal eggshells for this experiment and learn all about chemistry! With eggshells, borax powder, and water, you can grow crystals overnight. Mix hot water and the borax powder, and food coloring if you choose, and pour the solution into a jar and place the eggshell inside. Leave the eggshell to cool overnight, and the next day crystals will have formed. This is because as the solution cools, the powder particles fall out of the solution and form crystals on the eggshell! Contrary to popular belief, eggshells are pretty strong. How strong? Well, there’s a simple activity that can help you find out! 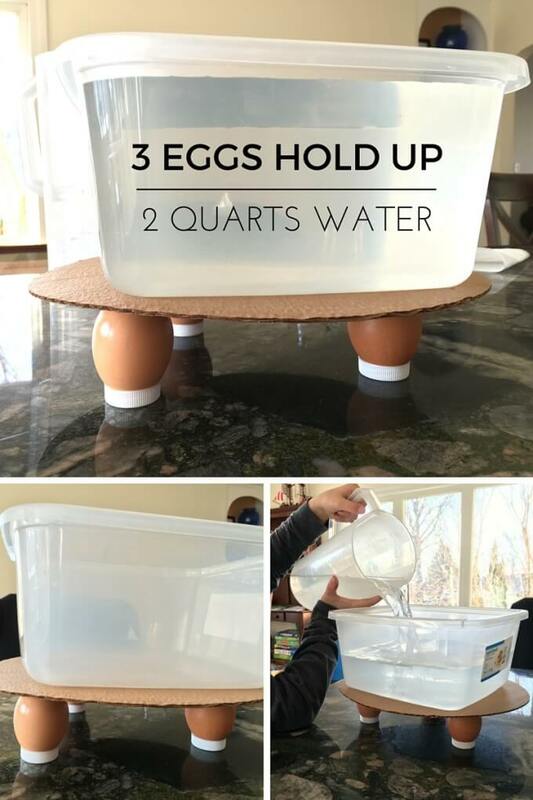 Place a bottle cap on the top and on the bottom of an egg. After that, place the bottle capped egg down and place objects on top of the top bottle cap to test how strong the egg actually is! Start out with just one egg, and continue to add more and more! This is because of the unique shape of the egg! The force on top of the egg gets distributed and allows for the egg to carry a high load. These are some of our favorite spring/Easter STEM activities! Learn about chemistry or physics with your students! We hope everyone has a happy and safe STEM-filled spring and Easter!